With over 175 million active users, Pinterest is one of the largest social media websites out there. Businesses and people use Pinterest to build and engage their following and monetize their Pinterest following. Building an audience is key to making money using Pinterest. If you are active on Pinterest and find a niche that you enjoy, you will increase your followers over time. There are many different ways that you can use to monetize Pinterest following. You can make money using Pinterest even without a blog. Here are just a few ways you can make money online using Pinterest. Affiliate marketing is the best way to make money online using Pinterest. You can do this with or without a blog of your own. Affiliate marketing is when a company or individual pays someone else commission for any sales, leads and clicks, depending on the affiliate program that person makes for that company or individual through an affiliate link. Many companies and individuals offer affiliate marketing programs to have their products, services, etc. advertised by other people. Once you are signed up for an affiliate program, you will receive an affiliate link provided by the company you are an affiliate for. Then create amazing images and upload them directly to Pinterest. You will use your affiliate link as the URL for every pin image. Make sure to write keyword rich descriptions so they get noticed by Pinterest and your potential followers. If someone clicks through one of these Pins or clicks through and buys something or performs some other action, depending on the affiliate program, you will receive a commission. Periodically, Pinterest takes action against affiliate marketing spammers. If you are afraid of this happening, link your pins to your own website, where you can use affiliate links. Personally, I feel like it’s better to create unique content that offers value then include the affiliate links in the content. You can use Pinterest as a traffic generator to get people to the content. Check out affiliate networks like CJ Affiliate by Conversant, Clickbank, and OfferVault to see a list of affiliate products offered by different companies to promote in your niche. You can also check out individual companies such as the Amazon Associates Program offering affiliate programs in your niche. If you have a blog or site that contains valuable content and have a large following on Pinterest, then companies may contact you directly to write sponsored posts for them. Companies will pay you to write sponsored posts to advertise their products or services in front of your followers. You will post them to your own blog or site. You will then create attractive Pins and link them to the sponsored posts. These posts contain links to the companies’ sites. Companies or sites may also pay you to drive traffic to their sites directly from Pinnable images on your Pinterest account. There are some platforms online such as Linqia, Activate and Clever Collective that offer sponsored Pinterest campaigns. You can also make pitches to companies to see if they are interested in sponsored Pins or sponsored posts. Email marketing is one of the best ways to make money online. You can use Pinterest to build your email list. However, you need to give your target audience a good enough giveaway offer to entice them to opt in. For example, you can create an e-book, a short guide, etc. free product to build your mailing list. After you have created your freebie, promote it on Pinterest. Create attractive pinnable images with links back to blog posts where you place your freebie offer. When users click on the Pins they will be directed to the blog posts where they can sign up for the freebie. If they find your freebie and the content on your blog or site helpful, you can sell your products or services to them. So, by using Pinterest, you can build and monetize your mailing list. If you already have a large following on Pinterest, you are probably good at Pinning, re-pinning, connecting pins to links, and doing more things related to Pinterest. Do you know how to use Tailwind used for Pinterest scheduling system or tools such as Canva used for creating awesome images on Pinterest? Then you can make money by offering these services as a Pinterest VA to companies and people. If you are just starting out as a Pinterest VA, you can expect to earn $15-$20 per hour. Experienced Pinterest VAs can charge up to $50+ per hour or more, depending on experience. If you have an eBay store or Etsy store or your own online store, you can promote your store on Pinterest. Create awesome pin images and link them to your store. Pinterest will drive traffic to your store when users click on these images. You can sell digital products like e-books, guides, etc. on Pinterest. Just create attractive Pins and link them to your blog posts or a check out section so your Pinterest followers can click through the Pins to buy your products. 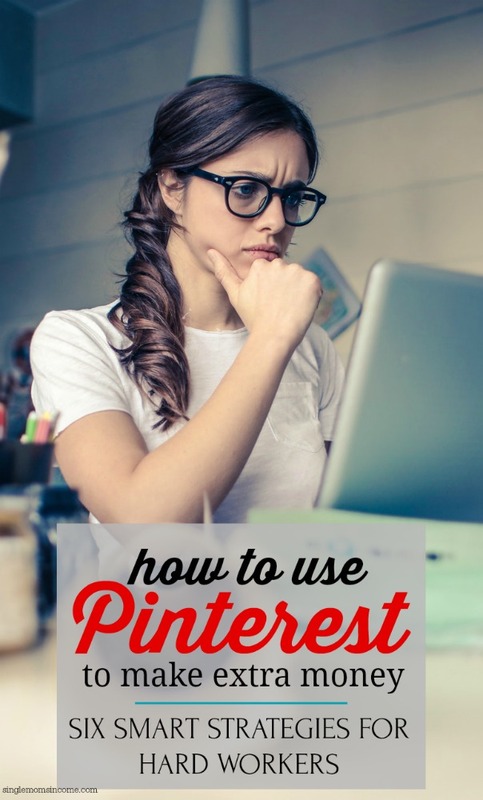 If you know a ton about Pinterest, you can write an e-book about “How to Use Pinterest to Make Money”, for example, and sell it from your blog or Amazon Kindle. Regardless of the platform you choose, link to your e-book from Pinterest images to drive traffic and sales to your store from Pinterest. If you an advanced expertise with Pinterest but don’t want to do VA work, then you can become a Pinterest consultant or marketer. You can make money by coaching others or help them with Pinterest marketing strategy. Companies and people will pay you to help them build their followings and create a marketing strategy. The more you are active and involved on Pinterest, the more money you will make using the Pinterest following. Create eye-catching Pins and use SEO for Pin descriptions to make sure your Pins get noticed easily by Pinterest and your potential customers. Pin regularly and multiple times at the right time. You can use Tailwind to automate regular Pinterest scheduling. Great advice! I especially like how you point out that you can turn experience and knowledge of Pinterest into a virtual assistant, consultant, or marketing career opportunity. Not everyone realizes how being skilled in an area can be turned into paid work helping someone else! 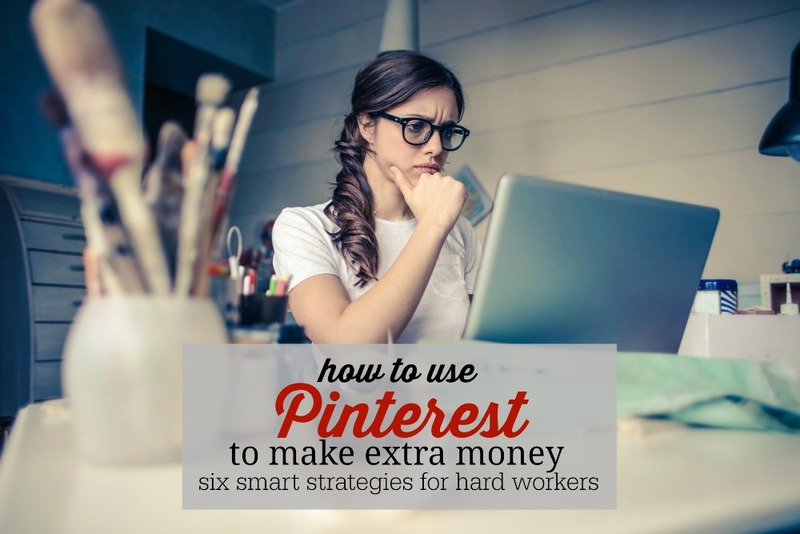 Yes, becoming a Pinterest VA is a great way to make money part-time or even full-time. Can you use pins that you have already pinned to your account ? Or do you need your own orig photos? Can you get photos from the affiliate site ? I’m wondering if really good keywords could make you money ?